Yesterday Favela Brass made a modest appearance in Rio newspaper O Dia. 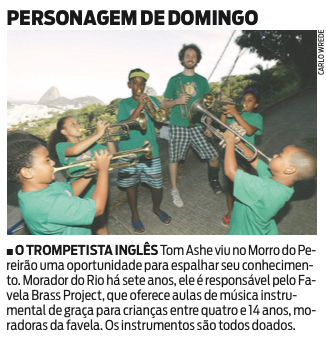 "The trumpet player Tom Ashe saw in the Pereira da Silva favela an opportunity to disseminate his knowledge. 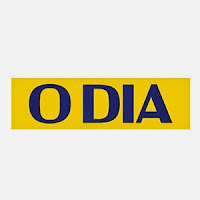 Resident of Rio for 7-years, he's responsible for the Favela Brass project which offers free music lessons for children between 4 and 14 years of age who live in the favela. The instruments are all donated."